The easiest cake in the world to make and by far the easiest to get wrong. I cannot abide a heavy, dry slice of cake! 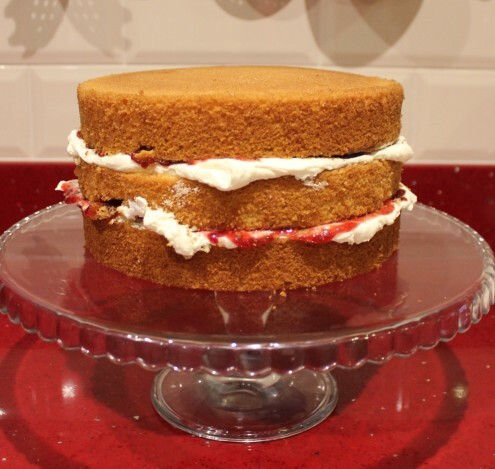 Follow my recipe and tips to get the lightest and most wonderfully moist Victoria Sponge to your table. 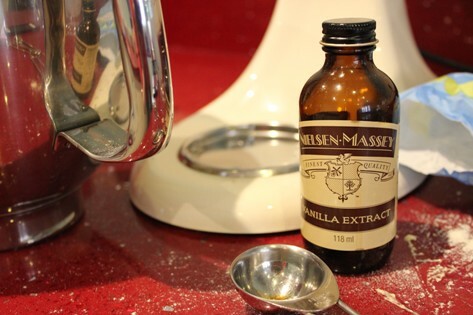 My top tip is to pay attention to the quality of your ingredients with this one – there are so few ingredients here that they all need to be good quality. You will taste the difference. Cream the butter and sugar together until they are pale in colour and creamy in consistency. 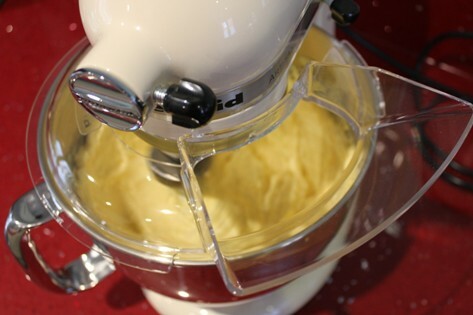 They need to be beaten in a stand mixer with a flat beater for around 3 minutes (a little longer with a hand whisk). I will be honest with you, good quality margarine works well in a sponge like this. Add the eggs slowly to prevent curdling. I tend to add three at a time and mix until fully incorporated before I add any more. If you find that your mixture starts to curdle (that’s lumps of solid fat separating from the liquid in the mix), just add a tablespoon of your weighed flour. Gently add in the remaining flour and baking powder. Mix only until there are no lumps remaining as overmixing the cake batter will result in a tough cake. Add the vanilla extract. I cannot stress enough how important good quality vanilla is to this cake. If the vanilla is not strong enough, all you will taste are the eggs! The mixture should dollop off of a spoon like thick yoghurt so add a little milk if needed to get to this consistency. Divide this mixture between two lined sandwich tins and bake for 35 minutes or until the cakes are risen and a cocktail stick inserted into the cake comes out clean. Allow the cakes to cool in their tins for 5 minutes before turning out onto a wire rack. Remove the peaks from your risen sponges using a sharp knife and assemble with Classic Vanilla Buttercream and the jam of your choosing in between each layer. You can dust with icing sugar for a final flourish BUT do this just before serving as this moist sponge will greedily dissolve it!